Samsung’s Galaxy S9 has been revealed in Barcelona. 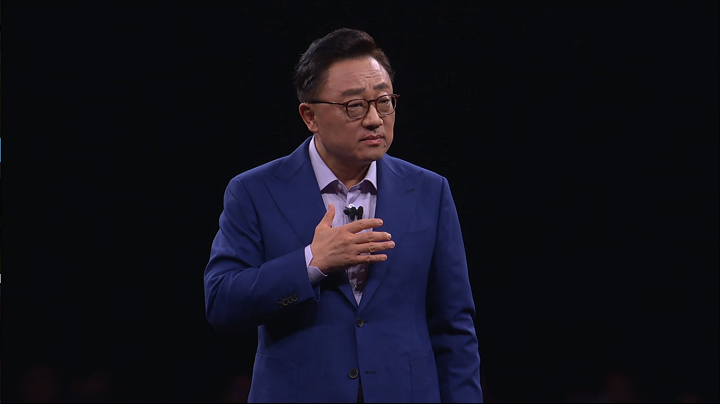 And at their presentation, they showed everyone the new innovations the Samsung Galaxy S9 is promising to deliver to its future owners. Many believed that the Galaxy S9 was going to be Samsung’s answer to Apple’s iPhone X. But sadly this is far from the truth. The Samsung Galaxy S9 indeed copied Apple’s iPhone X’s advanced camera system gimmick, but it feels like it is a spin-off of the iPhone X instead. It didn’t go for the advanced bionic AI chip route, instead, it features an entirely new function that would make practical users wonder who would even buy a new phone just to use it that way. In short, just like how the Apple iPhone X’s security feature is impractical except for people who are paranoid of securing the data contents of their phone, the Galaxy S9’s main new feature is totally impractical and doesn’t have any real use beyond those whose main hobby involves social media. A dual aperture function that allows the camera to adjust in accordance with the brightness or darkness of its surroundings. When it is bright the camera uses the smaller aperture; when it is dark it will automatically switch to the larger aperture. This allows the camera to act similar to the human eyes so it can take clear photos any time of the day. They also integrated a DRAM memory chip directly into the camera, most likely that the DRAM chip is dedicated to that camera’s operation, unlike the A1 bionic chip of the iPhone X that can be used for all the phone’s processes. It is part of Samsung’s new super speed dual-pixel image sensor. This also allows the phone to take 960 fps videos allowing for an incredible “super slow-mo” feature. The super slow-mo feature allows the phone to create incredible slow-motion videos, which look as if the video was taken with special video equipment dedicated to slow-motion effects. They also have an auto-capture function that lets you assign an area that’s being recorded and any movement in it in front of the camera will trigger the super slow-mo function. 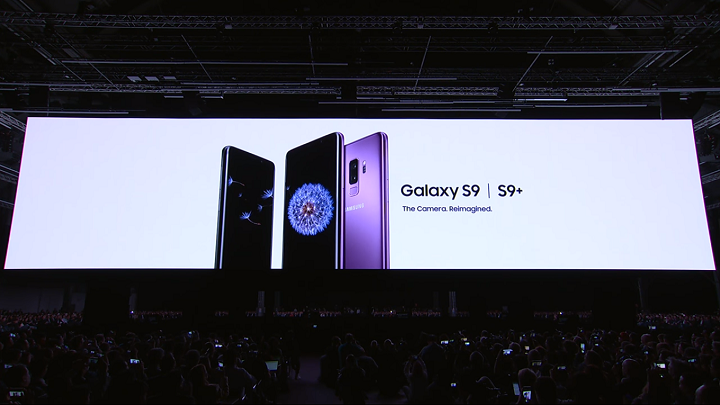 The S9 Plus has a dual camera: it comes equipped with both a wide-angle lens and a telephoto lens that uses optical image stabilization. They’re also making customizable animated emojis that use augmented reality available to the S9, similar to the one in the iPhone X. The camera is linked to Bixby, so it can also translate languages just by facing the camera towards the item needed to be translated and the phone will translate the words. It can also display information about food items that are in front of the camera via the Samsung Health’s database. Bixby’s “makeup mode” lets women try out makeup via the S9’s augmented reality capabilities. So it is cool and nifty. But just like the Apple iPhone X, it is impractical. The camera might interest those who like to take videos to post on social media websites or those that like to take pictures. The ability to take HD images and 900 plus fps videos anywhere at any time means that users or hobbyists will never miss a good shot ever again. The S9 has a 5.8-inch screen while the S9 Plus has a 6.2-inch screen, both are Super AMOLED with 1440 x 2960 resolution and has Gorilla Glass 5 protection. They both come equipped with the loudest speakers Samsung can provide on both sides of the phone, utilizing Dolby’s Dolby Atmos. 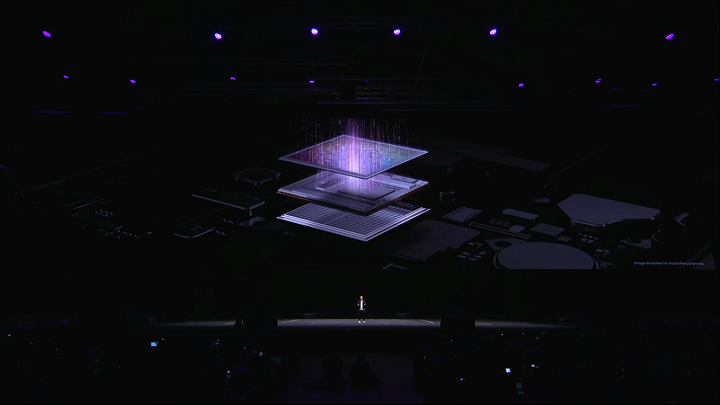 The phone’s chipset wasn’t mentioned during the presentation but Samsung will be using it’s Exynos 9810 for phones outside China and the US, while those in the USA and China will be using Qualcomm’s Snapdragon 845. The price is estimated to be around $1,000, similar to the iPhone X. If Samsung is smart, they should not expect very high sales for this device. The phone that people expected to compete with Apple took a different route while demanding the same price from people. They are, however, allowing customers to trade in their current phones for the S9, which might somehow reduce the price. How will Samsung fans react compared to Apple’s will now be the sole deciding factor if it is going to flop or not. Is a better slo-mo camera really worth a $1000 price tag? When Apple presented the iPhone X they have a valid reason, security. The Galaxy S9 only appeals to certain people. You can make a good case with the S9’s advanced chipsets, like for example if you like playing video games on your mobile. But this phone isn’t really tuned for playing video games on it, compared to the Razer phone. How about watching a movie and taking advantage of the phone’s Dolby Atmos feature? Well, no one really watches movies on the go without a headset, so the Atmos is useless unless you’re alone somewhere, like your own room. But if you’re at home, why not just watch movies on your PC or TV? And so this will almost certainly appeal only to photographers and video makers. How will this turn out? No one’s really sure. The phone will be made available on March 16.